Mona Lisa B. de la Cruz, Insular Life’s President and Chief Operating Officer, and the first woman president in the company’s 105 years of operations, was selected as one of the 100 Most Influential Women Leaders in the World ™ awardees. De la Cruz was recognized under the Builder Award category. Builders are leaders who demonstrate exceptional business impact at a large workplace environment, displaying deep passion for a cause through collaborative initiatives or alliances. “Buildership” is about building better organizations. She was given this international recognition for her exceptional acumen and forward-looking mindset. In her 35-year career with Insular Life, she has directly contributed to the company’s operational efficiency, fiscal strength and market leadership. A homegrown Insular Life executive, de la Cruz joined the company right after completing her Master of Science, major in Actuarial Science from the University of Michigan. At just 27 years old, she was promoted to Assistant Vice President at the Actuarial Division, the youngest executive to have been promoted to officer level in the company to date. In the course of her career, she managed a steadily expanding range of responsibilities, notably risk selection, underwriting, customer service, information technology, and finance, until she eventually took on the mantle as Insular Life’s Head of the Administrative Operations Group, and later, as its Chief Actuary and Treasurer. Under her leadership, Insular Life successfully put in place its Magandang Araw brand of bespoke customer service. She is also credited for strengthening Insular Life employees’ career development as she established training programs and qualifying examinations as standards to achieve professional growth. Her latest contribution to the company was the implementation of the Automated Underwriting System, paving the way for Insular Life to pioneer the use of this system locally. De la Cruz is a board member of various Insular Life subsidiaries and affiliated companies, such as Union Bank of the Philippines, MAPFRE Insular Insurance Corporation, and Pilipinas Shell Petroleum Corporation, as well at the Insular Foundation, Inc. Drawing forth from her upbringing as the daughter of a public servant and as an Iskolar ng Bayan, de la Cruz has always been socially conscientious. She strongly supports the University of the Philippines’ Adopt-A- Scholar Program under its Office of Scholarship and Student Affairs through which she has adopted financially challenged students, some of whom have already graduated and are now gainfully employed. 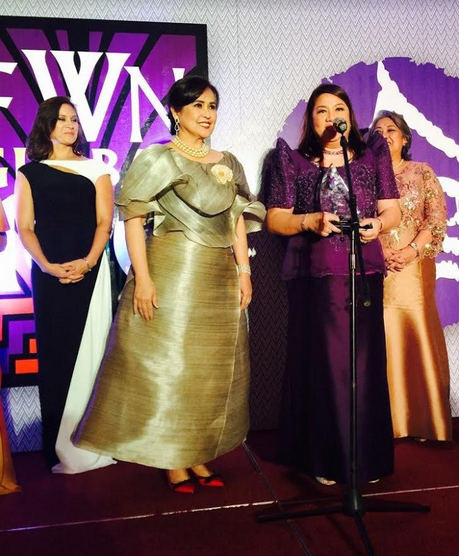 The Global FWN100™ Award was initiated by the Filipina Women’s Network (FWN), and recognizes Filipinas who have reached the pinnacle of their profession or spheres of interests, from across the globe. They are industry leaders, community influencers, innovators, dedicated mentors, and legacy builders. Giving honor to these outstanding individuals is part of FWN’s mission to foster a Filipino woman leader in every sector of the economy by 2020. The Global FWN100™ Award gives tribute to outstanding Filipinas, each of whom has undergone a rigorous selection process, in eight categories: Behind the Scenes Leaders; Builders; Emerging Leaders; Founders and Pioneers; Innovators and Thought Leaders; “Nicole”; and Policymakers and Visionaries. The winners were honored in formal ceremonies during the 13th Filipina Leadership Global Summit on August 21-24, 2016 in Cebu City. De la Cruz’s recognition as one of the most influential women leaders in the world comes at a time when Insular Life – helmed by men for 105 years – is now led by two women. 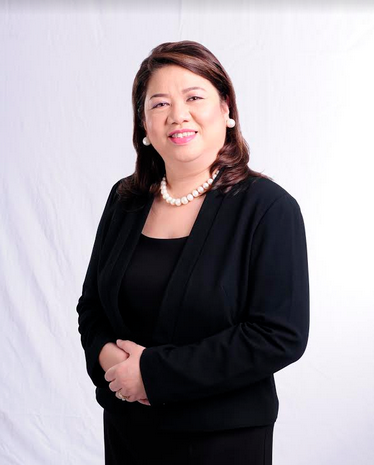 Indeed, its current Chief Executive Officer, Nina D. Aguas, was also a Global FWN 100™ awardee, in 2013, for her leadership in the banking industry. Insular Life, therefore, now boasts of two Global FWN 100™ honorees, a rarity in the corporate world. Insular Life is also a sponsor of the Manila Book Launch, Book Reading and Meet the Author of FWN’s second book on Filipina Women Leadership entitled “DISRUPT 2.0 FILIPINA WOMEN: DARING TO LEAD. This will be held on August 26, 2016, 5:00 pm at the Asian Institute of Management. Insular Life will be giving away, for free, limited copies of the book to attendees of the book launch.